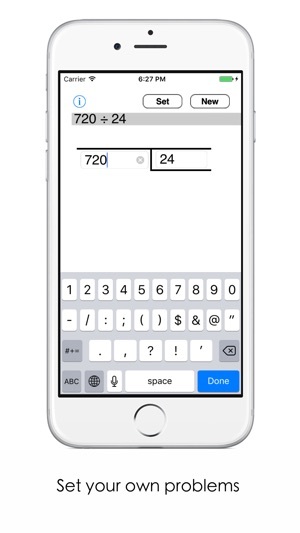 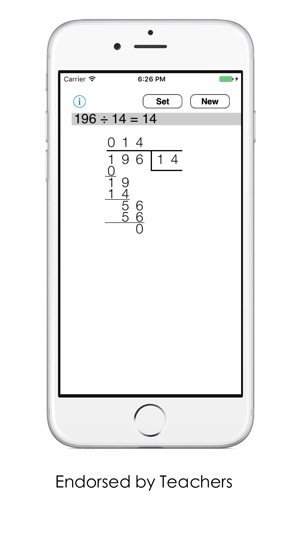 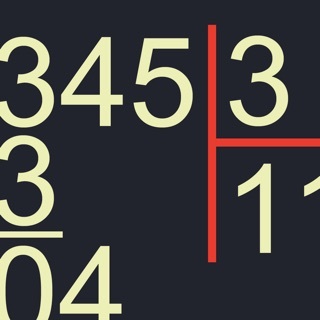 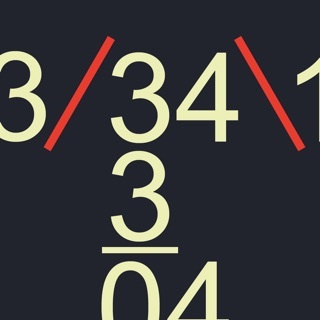 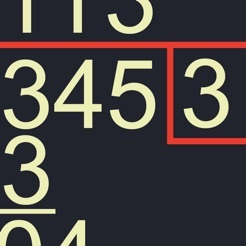 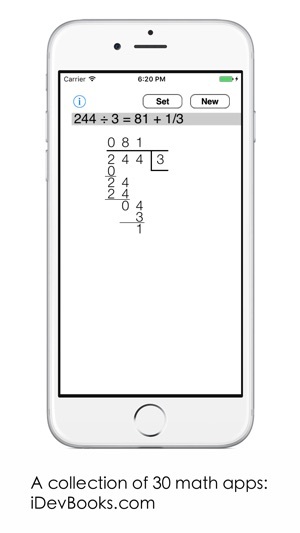 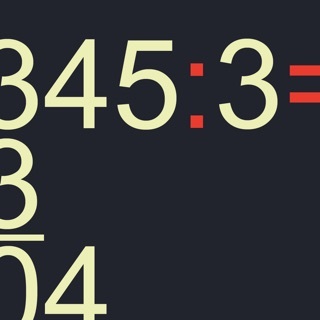 The Swedish Long Division app can be used to teach and study the Swedish long division method. 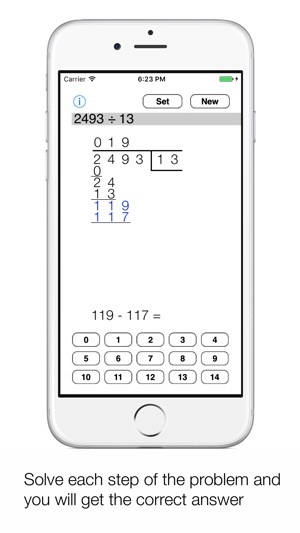 The user can solve custom and random division problems with small and large numbers. 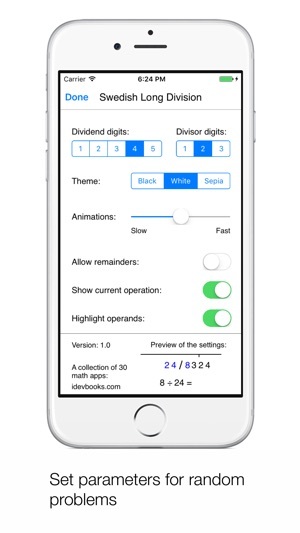 iDevBooks has over 30 math apps that have been reviewed and endorsed by Wired.com, IEAR.org, Edudemic.com, and other respected sites and organizations.